Muggles all over have been long awaiting the appearance of the Wizarding World of Harry Potter in Hollywood. The magic has been unleashed and it is breathtaking! We have all the tips you need in our guide to the Wizarding World of Harry Potter at Universal Studios Hollywood. With the overwhelming popularity of this new attraction area, our first suggestion is to arrive at Universal Studios Hollywood as early as possible. 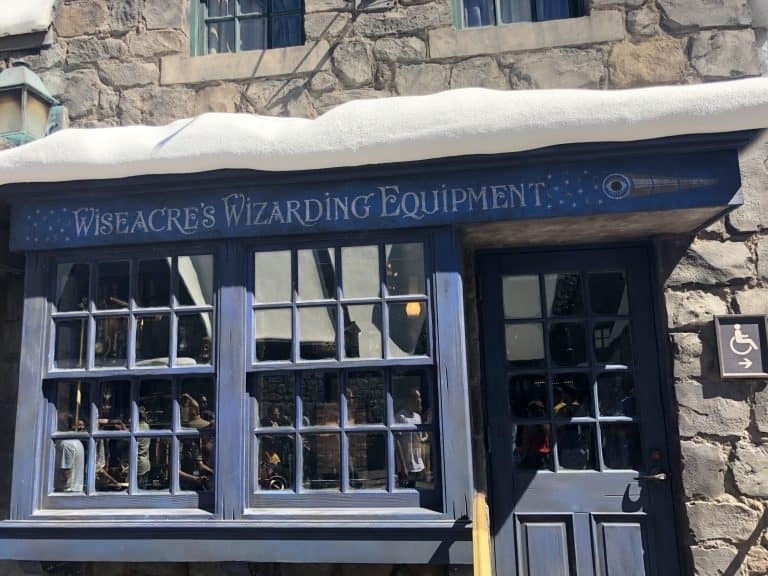 There are several Harry Potter-themed stores toward the entrance – don’t let them distract you – head directly to the real deal inside the Wizarding World of Harry Potter. First stop, the rides! The line for Harry Potter and the Forbidden Journey can be more than two hours, so stop here first! We went to this ride right after the park opened and only had to wait 10 minutes. The early bird really does get the worm! Take note that guests need to put all loose belongings in the FREE lockers located at the entrance to Hogwarts Castle before entering the ride. Then, get ready to board a vessel and take a flight through a chimney flue using the Floo Network to experience the Hogwarts’ grounds firsthand. It is an incredibly smooth ride and enjoyable for those over 48″ tall. It can be a bit scary in a few spots but nothing too drastic. The ride is only half the fun with this attraction; the line, located inside the Hogwarts Castle, is chock full of all things magical. Two worthwhile notables include visiting Dumbledore’s office and talking with the Sorting Hat. Traveling with toddlers? The Forbidden Journey has a child swap room located at the entrance of the ride for families traveling with young kids. Harry Potter films play while kids wait with their accompanying adult. This is great because the little kids will not want to miss the sights inside Hogwarts Castle. If the little ones want or need to skip the lines altogether, catch one of the fun shows on the main stage or help them explore with their interactive wands! Tip: If you are prone to motion sickness, this ride may get you. Be aware that while the ride is smooth, the 3-D view was removed due to complaints and still may be too much from some riders. Our editor found herself queasy by the end of the ride but she gets sick on all rides with screens. Walk through Hagrid’s pumpkin patch and stop in for a visit with Bane while on your way to board your Hippogriff. This ride is a fun roller coaster for the entire family (minimum height to ride is 36″). Kids will love the view of Buckbeak and adults will enjoy seeing a new perspective of Hogwarts Castle. The ride is quite short but fun. Head here early in the day when lines are short. Tip: Visitors to both Harry Potter and the Forbidden Journey and Flight of the Hippogriff benefit in Universal Hollywood’s Front-of-the-Line tickets. The cost varies depending on the day. 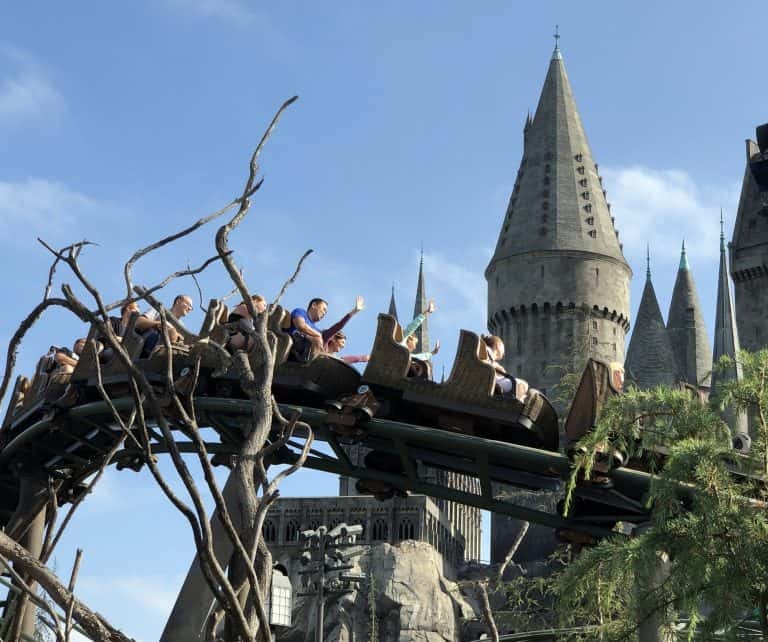 Now that everyone has had an adrenaline rush on the rides, head to these attractions to further immerse yourself in Harry Potter’s world. The Hogwarts Express greets all attendees at the main entrance of the Wizarding World. Stop by for a quick photo with the conductor as steam billows from the massive locomotive! Ollivanders is by far the most impressive shop and best interactive experience, and it has the wait time to prove it. This line has been known to creep up to an hour or more. 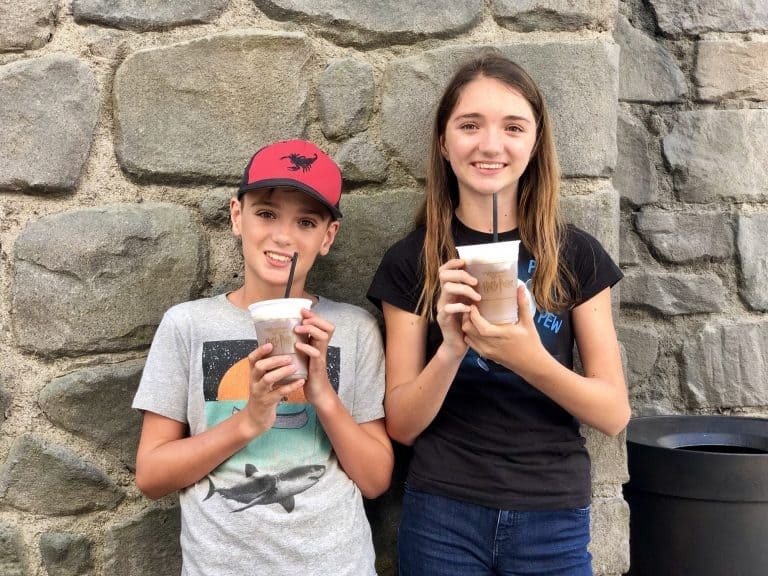 Grab the family some Butterbeers to enjoy while in line as there isn’t much in way of entertainment. 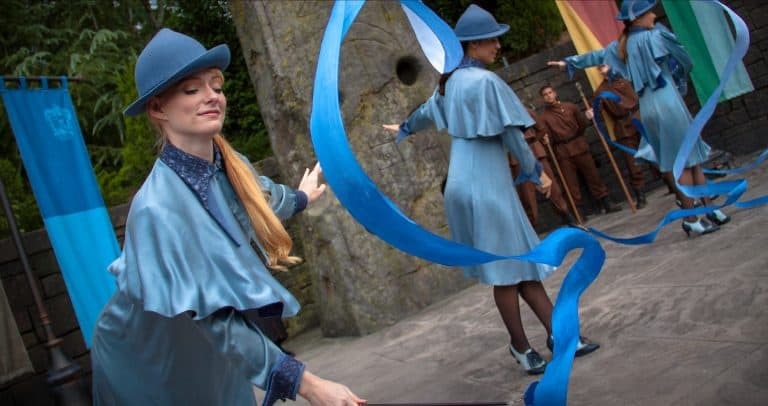 While waiting, prepare little ones for the experience by letting them know only one participant will be selected by the wand and have one chosen for them during the show. Be aware, it is recommended that the selected participant purchase the wand at the exit. The interactive experience exits into an actual wand shop filled with all types of wands representing the characters of the Harry Potter series. 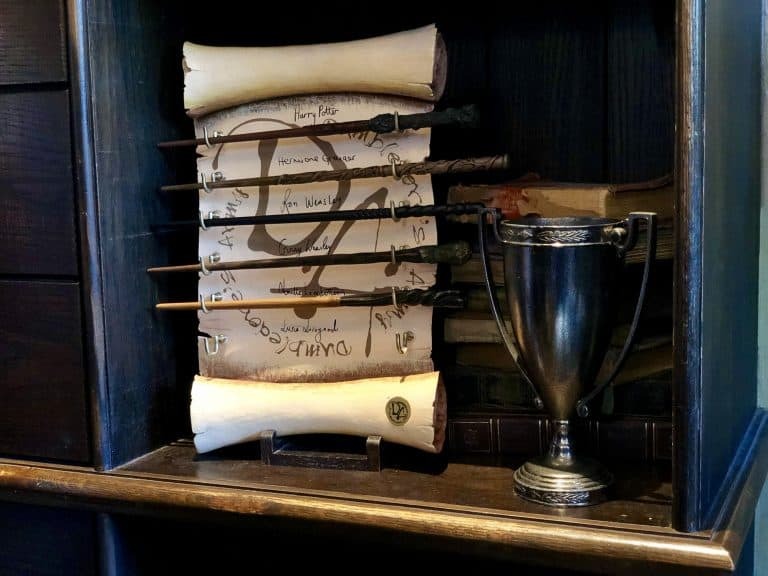 Wands are also available with an interactive mode which allows newly-dubbed wizards to follow a map and complete several spells throughout the Wizarding World of Harry Potter. 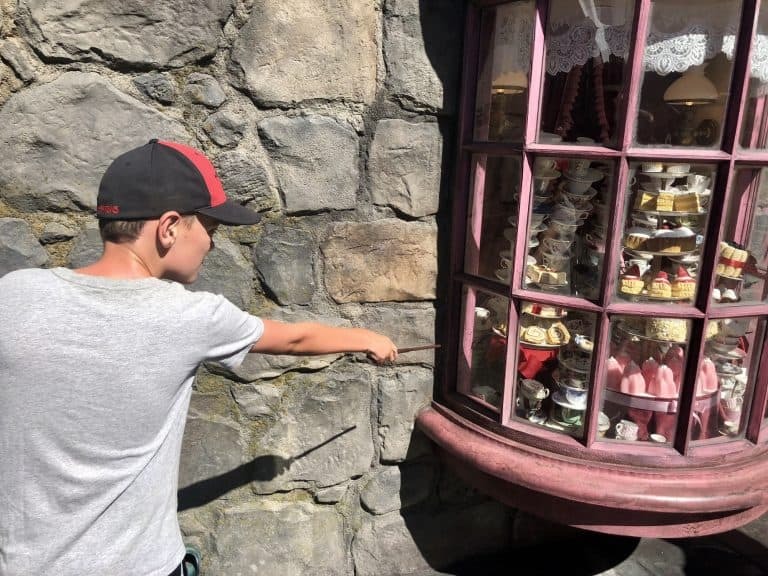 Kids have a blast standing in designated spots in the land and casting the correct spells to send items around the land into action; proper wand movement helps the magic! You must choose a gold-labeled wand for this experience to work and the wands aren’t cheap- expect to spend close to $50 for these magic wands. Tip: If you want to check out the wand shop without the interactive show, enter through the Wiseacre’s Shop to save yourself some time! Ever wonder what the Triwizard Tournament looked like? Stop by the main stage to witness a rally to support the wizards of this year’s tournament. The theatrical presentation gets the crowd cheering for their favorite wizards. Wait until the end of the show and get a quick photo with the entire crew! 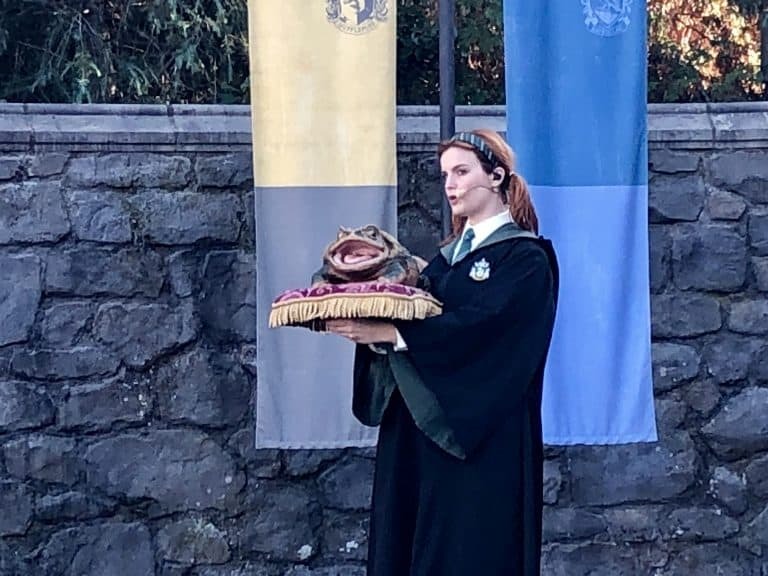 Other great experiences inside the land include Hogsmeade Station, where you will find a photo booth of a train cabin complete with props, and the Frog Choir, where you can experience a performance by Hogwarts students and their musical frogs. Their croaking companions are quite the sight and guaranteed to entertain. Excited for your own Harry Potter experience? 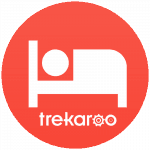 Book your hotel and choose from these lodging options for the whole family! It’s all about the details. 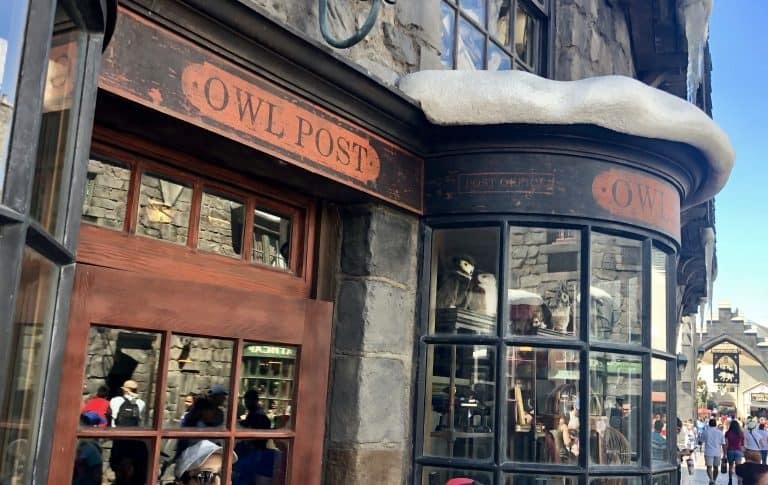 These shops give fans the opportunity to take a piece of Hogwarts home with them. This is a great shop to pick up novelty items. Many products have graced the pages of the Harry Potter series. Fall in love with cotton-candy-pink Pygmy Puffs or embrace your inner jokester and grab a screaming yo-yo. Don’t miss the fun! Every wizard needs to stop in for their telescopes, crystal balls, and magical school gear. Once you visit the sorting hat in Hogwarts Castle, pick up your house robe at Wiseacre’s Wizarding Equipment. 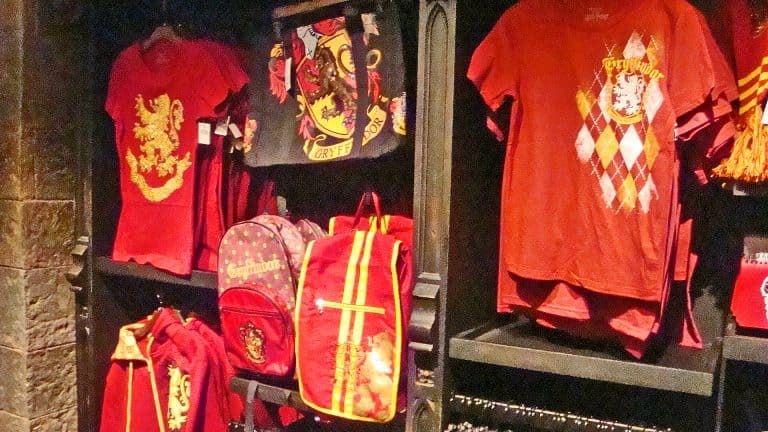 This is the place to get decked out, Potter style. Take a peek at some of Filch’s confiscated goods here, including the Marauder’s Map and the Monster Book of Monsters! This is a large souvenir shop brimming with a wide variety of items sure to delight Harry Potter fans. Take home some fan gear or magical movie replicas to experience the wonder at home. 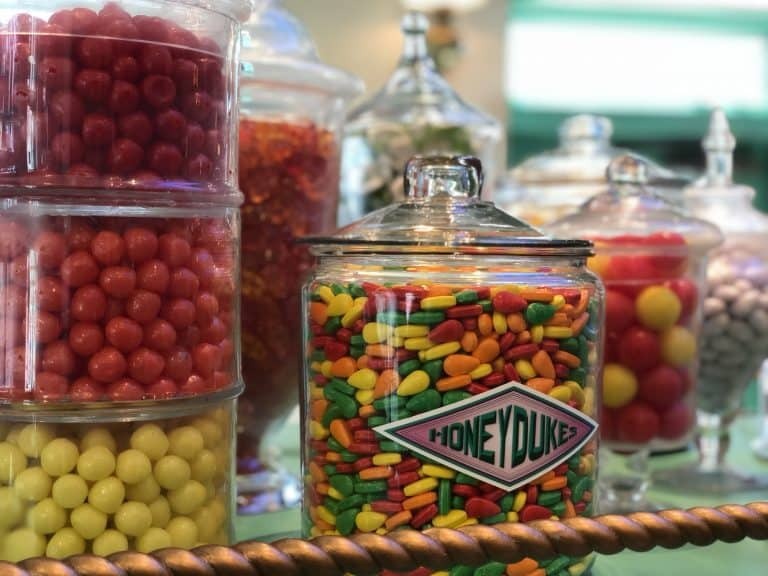 A staple in Harry Potter’s life, Honeydukes is not to be passed up. 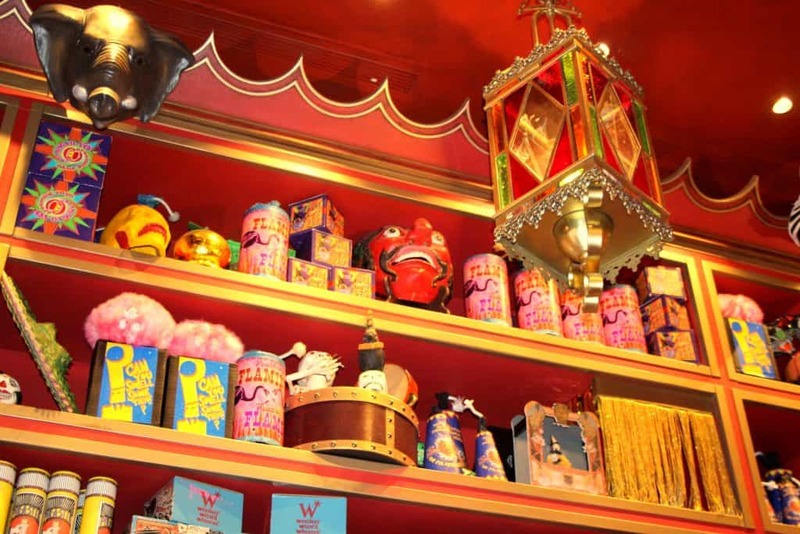 A sugary paradise awaits you, complete with Bertie Bott’s Every-Flavour Beans and Chocolate Frogs! This is the place to visit if you have a sweet tooth but be forewarned, some items are almost too pretty to eat…. almost. Are you with Slytherin, Hufflepuff, Ravenclaw, or Gryffindor? 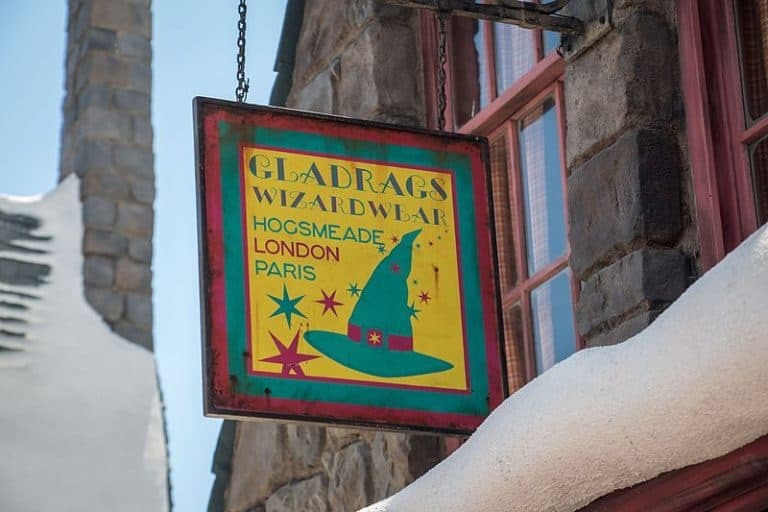 Support your favorite house by picking up your spirit gear at Gladrags Wizardwear or show support by picking up a scarf or a tie! Getting ready for a game of Quidditch? Stop in at Dervish and Banges. This shop has everything a player would need to get on the team! This is the place to pick up your Firebolt brooms, quaffles, and of course, the golden snitch. Sending a letter has never been more fun! 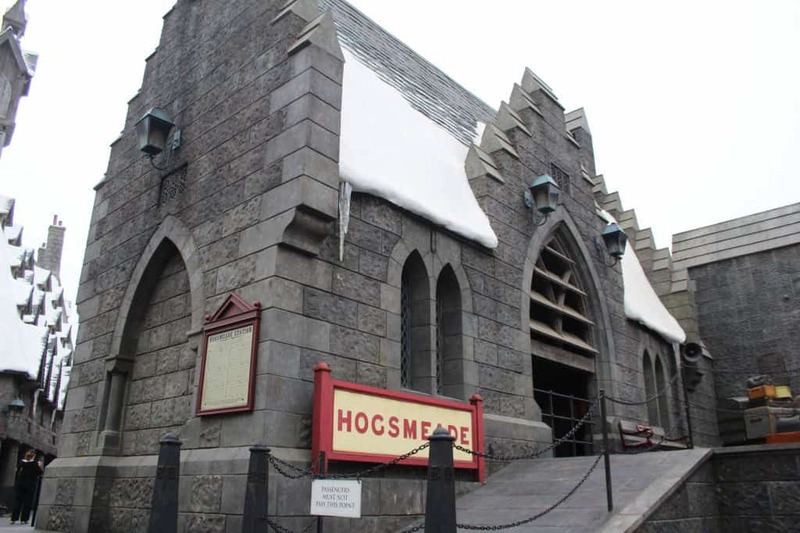 Post your letter with a Hogsmeade postmark and send it off to your favorite Harry Potter fan back home. This store is the place to purchase adorable stuffed owls which look like Harry’s owl, Hedwig. There are even owl backpacks! Find amazing deals on family-friendly hotels near Universal Studios Hollywood and relax with the kids after hours of shopping! Neither muggles nor wizards will go hungry in the Wizarding World of Harry Potter. From dining carts to sit-down restaurants, Universal Studios Hollywood added magical touches to every location. This tasty treat comes in two options: Frozen or Chilled. Stop by one of the two carts on the main street to have a taste of Harry Potter’s favorite Hogsmeade drink! The vendors say the icy version seems to be the most popular. Both versions are incredibly sweet. My kids loved them! Tip: Save some time and head to the second cart located next to Ollivander’s exit. This cart seems to get less crowded throughout the day. Families might want to take a quick stop at Hog’s Head Pub. It offers specialty brews on tap for the grownups as well as Butterbeer, Pumpkin Juice, and Gilly Water. The main dining area goes beyond all expectations! This picturesque restaurant takes diners right into the heart of Hogsmeade. With indoor and outdoor dining, there is room for all. 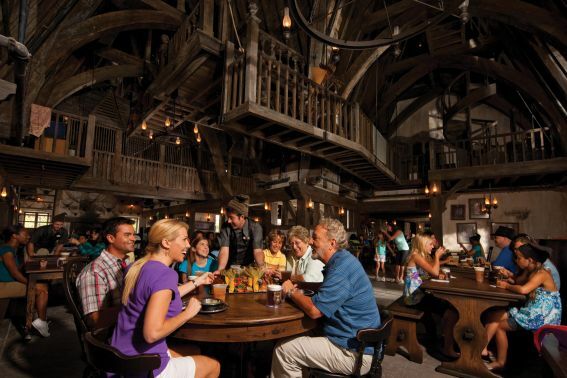 The Three Broomsticks offers both a breakfast and lunch/dinner menu, specializing in traditional English offerings. You will not want to miss this dining experience. The line looks daunting, but it moves quickly. Children’s entrees are $6.99. Choose from Fish and Chips, Chicken Legs, Chicken Fingers, and Macaroni and Cheese. All are served with grapes and applesauce. Tip: No time to dine? 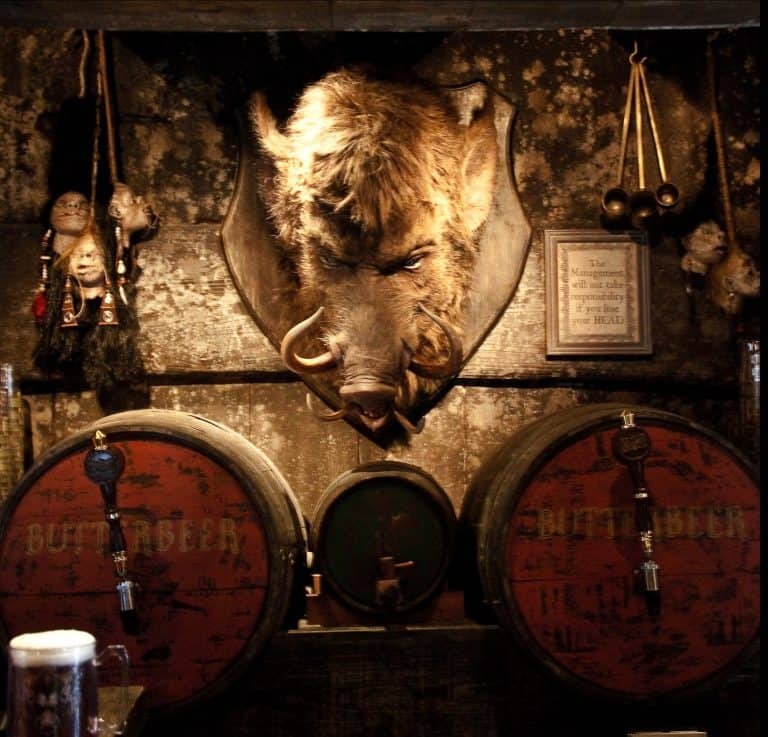 Grab a drink and a quick snack at the Hog’s Head and enter into the dining room from their entrance. Universal Studios is located in Universal City in the northwest part of Los Angeles. The Hilton Los Angeles-Universal City is the favorite of a handful of hotel properties located very close to Universal Studios Hollywood. Anxious for more from the land beyond Platform 9 3/4? 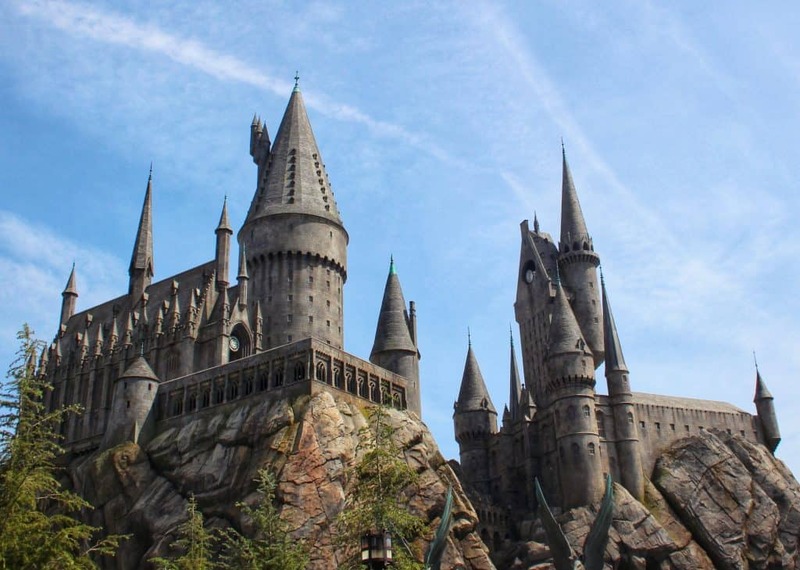 Take a peek at our picks for the top spots to visit for the ultimate Harry Potter fan! While in Florida, make sure to check out Universal Hollywood’s sister park in Orlando. 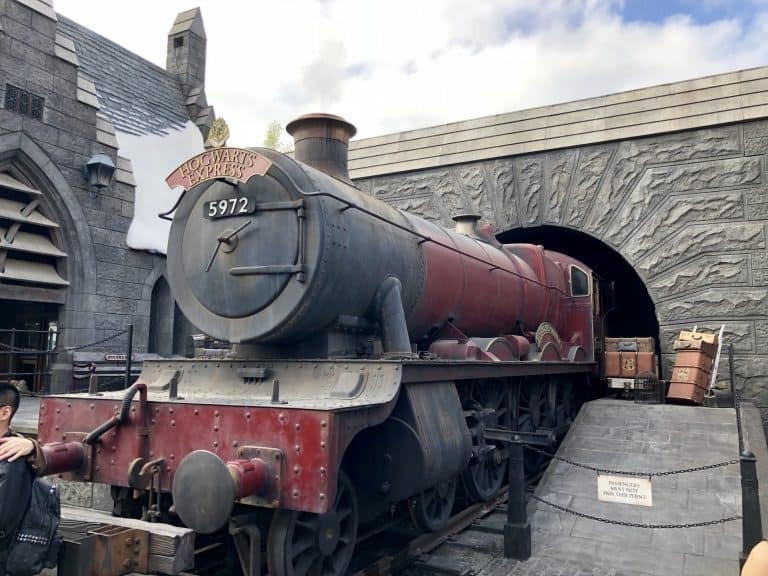 Disclosure: This author visited The Wizarding World of Harry Potter for the purposes of relaying this information to Trekaroo readers. All opinions are her own.